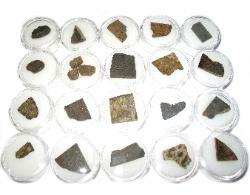 and are more stable than their counterparts. 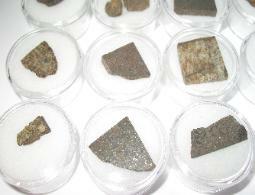 void in the surface (see image on right). 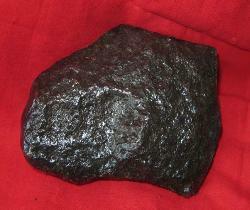 one face (see right image). 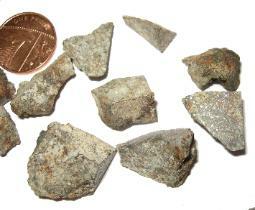 condensed as globules of glass. 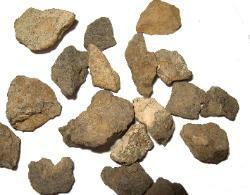 the Pleistocene. 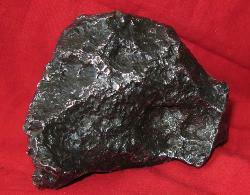 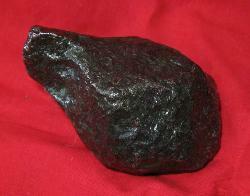 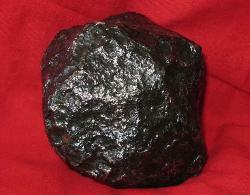 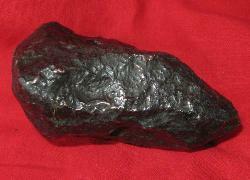 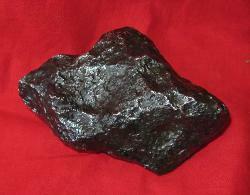 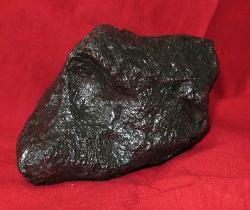 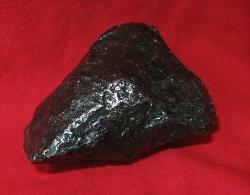 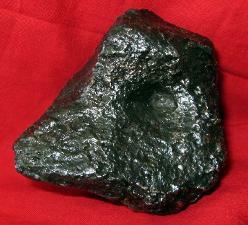 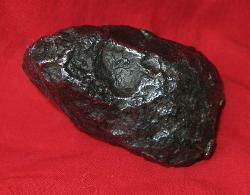 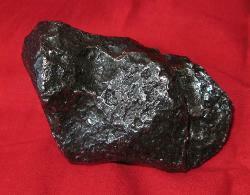 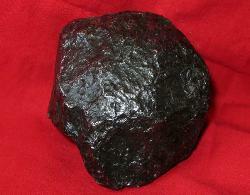 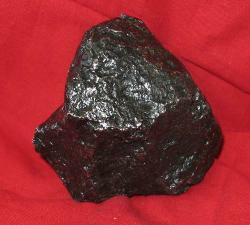 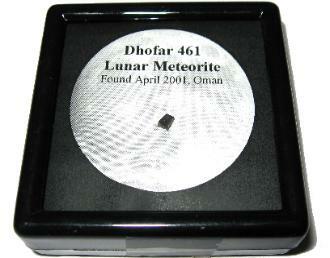 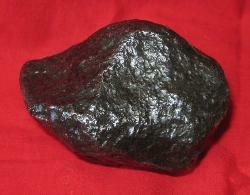 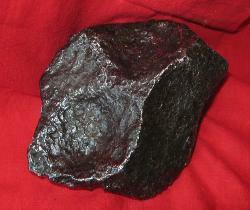 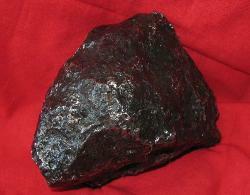 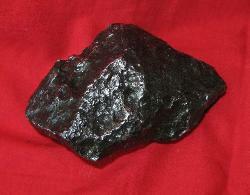 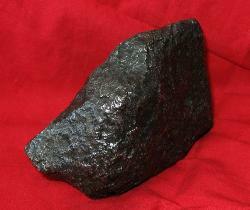 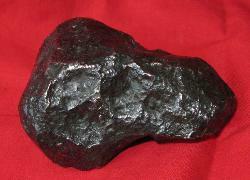 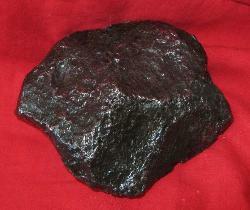 A rare EL3 group meteorite. 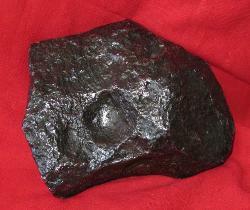 in Russia in 1947. 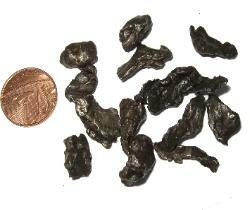 Average size ~1 inch. 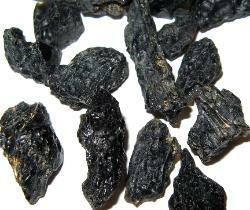 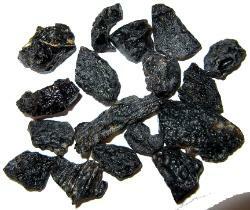 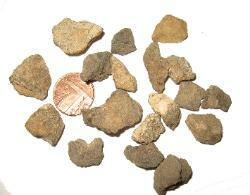 found in the Sahara Desert in 2004.
crust from this famous fall. 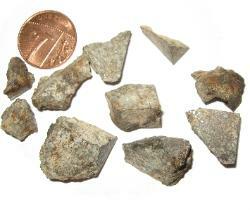 can't believe how strong they are! 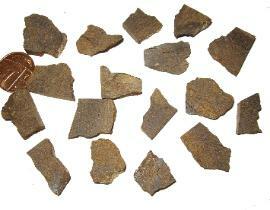 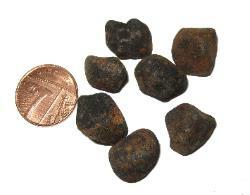 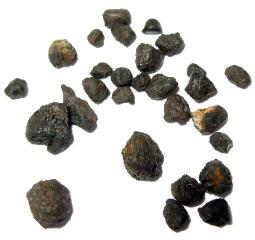 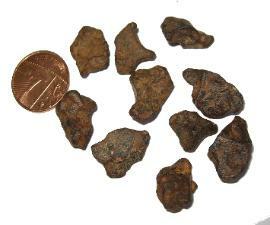 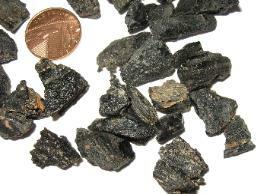 gas vessicles and are similar to Irgizites. 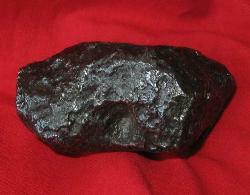 Average size is 1 to 2 cm. 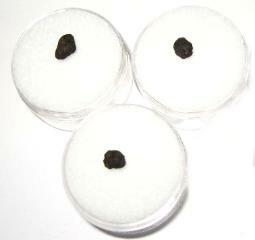 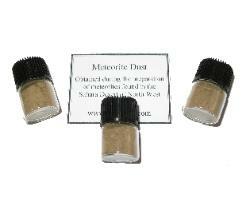 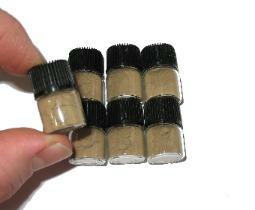 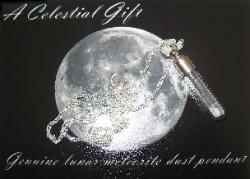 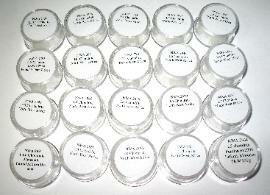 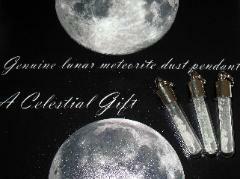 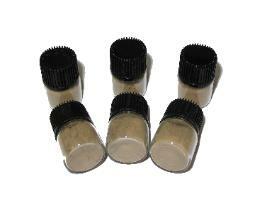 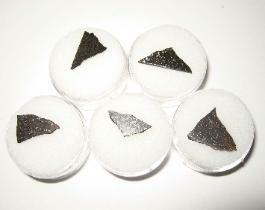 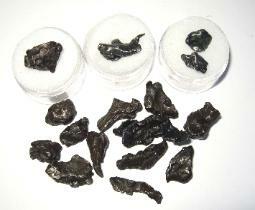 Each vial is filled with dust produced during the preparation of meteorites. 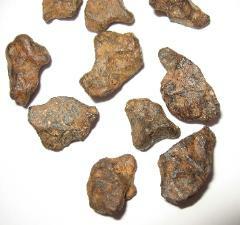 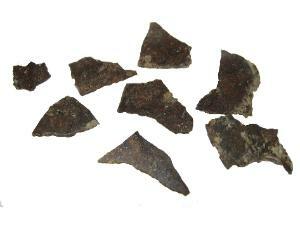 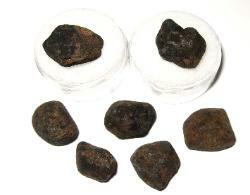 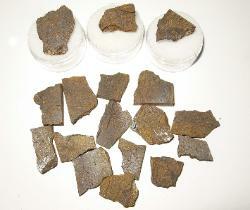 meteorites. 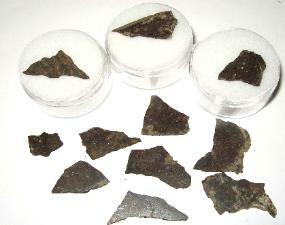 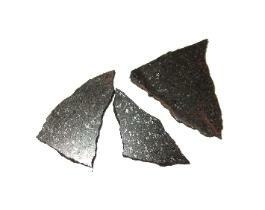 Genuine fragments of the moon. 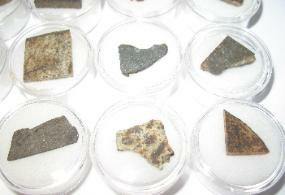 specimens are classified. 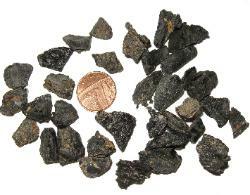 The included falls are shown in the second image.